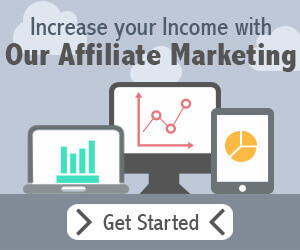 Ultimate Marketing Group’s affiliate program is designed to provide one of the highest payout commissions. Whether you are and individual, company or non-profit, looking to complement your income or make a living out of it, we can provide you with some tools to ease the troubles of presenting our services. Our competitive prices make it affordable for most business owners to obtain a web site and digital services that corporate business overprice. You will never be alone. If you ever have any questions we are here for you. You don’t even have to deal with all the paperwork, you can simply refer them to us and we’ll take care of the rest. Most companies will charge you extra for a mobile friendly site or some won’t even offer it. All of our projects are mobile friendly from the very beginning at no additional cost. With each project you get lifetime technical support. We are all about creating long lasting relationships. If you ever have a technical difficulties with your site simply contact us. If you are ready to get started with our affiliate program contact us. If you have any questions call us at 678-383-9379 or email us.